The trade for Happ was far more essential, as the Yankees have only three reliable starters - Luis Severino, Masahiro Tanaka, and CC Sabathia - along with the underwhelming Sonny Gray, and a fifth spot shared by the likes of Domingo German, Luis Cessa, and rookie Jonathan Loaisiga. Looking ahead to the playoffs, the Yankees rotation can now have two southpaws in Happ and CC, with Tanaka and Severino on the right side. If they don't trade Gray, they can slide him to the bullpen, and he can join possibly ding the success Phil Hughes did out there in the 2009 postseason. Happ, 35, went 10-6 with a 4.18 ERA (114.0IP, 99H, 61R/53ER, 35BB, 130K, 17HR) and a career-best 10.26 K/9.0IP ratio in 20 starts with the Blue Jays in 2018. He made his first career All-Star Game this season, earning the save in the American League’s 10-inning, 8-6, win. Over 12 Major League seasons with the Phillies (2007-10), Astros (2010-12), Blue Jays (2012-14, ’16-18), Mariners (2015) and Pirates (2015), he has gone 102-82 with a 3.95 ERA (1,467.0IP, 1,397H, 692R/644ER, 540BB, 1,294K, 179HR) in 273 career games (248 starts). He is one of five pitchers to earn at least 10 wins in each of the last five seasons (2014-18), along with Zack Greinke, Jon Lester, Chris Sale and Max Scherzer. Two seasons ago, he went 20-4 with a 3.18 ERA (195.0IP, 69ER) for Toronto, tying for second in the Majors in wins and ranking sixth in 2016 American League Cy Young Award voting. Happ has made 10 career postseason appearances (three starts), going 1-1 with a 3.72 ERA (19.1IP, 8ER). In the Blue Jays’ 2016 ALCS run, he went 1-1 with a 2.70 ERA (10.0IP, 3ER) in two starts. The Spring Valley, Ill., native was originally selected by Philadelphia in the third round of the 2004 First-Year Player Draft. He has been traded in July in four of the last nine years, also moving from Philadelphia to Houston in 2010, from Houston to Toronto in 2012 and from Seattle to Pittsburgh in 2015. 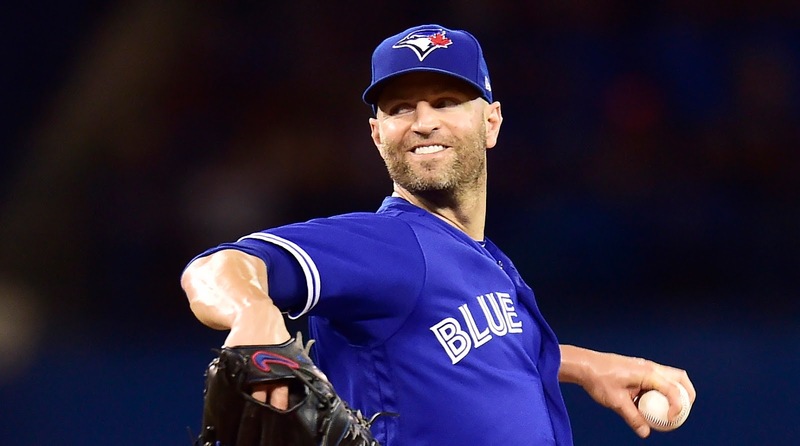 Happ signed a three-year contract with the Blue Jays on November 30, 2015 and will be a free agent at the end of the 2018 season. The trades for Britton and Happ were both on the Yankees' terms, as they sent Baltimore three pitching prospects - right-handers Dillon Tate and Cody Carroll, with lefty Josh Rogers, and Drury and McKinney to the Jays. Drury, 25 years old, is the only player with significant major league experience, as he spent three years with the Arizona Diamondbacks. but it just didn't work for him in New York. Drury went on the disabled list on April 7 due to severe migaines and missed more than a month. This opened the door for Yankees phenom Miguel Andujar to take over at third base, and he has been very impressive, earning American League Rookie of the Year honors for June. Drury hit .176 (9-for-51) with 2R, 2 doubles, 1HR and 7RBI in 18 games over three stints with the Yankees. With two starts at 1B, four starts at 2B and eight starts at 3B, he is one of nine Yankees in the Wild Card Era to start at 1B, 2B and 3B in the same season, joining Luis Sojo (1998, 2000-01), Clay Bellinger (2000), Miguel Cairo (2006-07), Wilson Betemit (2007-08), Cody Ransom (2008-09), David Adams (2013), Mark Reynolds (2013) and Neil Walker (2018). He also appeared in 55 games with Triple-A Scranton/Wilkes-Barre this season, hitting .294 (58-for-197) with 30R, 13 doubles, 5HR and 30RBI en route to being named to the International League All-Star team. The Grants Pass, Ore., native was acquired by the Yankees from the Arizona Diamondbacks as part of a three-team trade (also Tampa Bay) on February 20, 2018. He was originally selected by Atlanta in the 13th round of the 2010 First-Year Player Draft. McKinney, 23, made his Major League debut with the Yankees in 2018, going 1-for-4 in two games before being placed on the disabled list for nearly two months with a left shoulder sprain after colliding into the left field wall at Rogers Centre. He has spent most of the season with Triple-A Scranton/Wilkes-Barre, batting .230 (48-for-209) with 26R, 8 doubles, 5 triples, 13HR and 32RBI in 54 games. The Dallas, Tex., native was acquired by the Yankees along with RHP Adam Warren, INF Gleyber Torres and OF Rashad Crawford from the Chicago Cubs in exchange for LHP Aroldis Chapman on July 25, 2016.